Release your inner mermaid with these shimmering gemstones! When we think of mermaids, we think of pinks, greens and blues of the ocean - with a sprinkle of glitter of course. So we've picked our favourite gemstones which we think will be perfect for your mermaid inspired designs! Be inspired by our range of magical gemstones from pearls, aquamarine, metallic pyrite to mesmerising opal. What would be a mermaid without a pair of pearl earrings? 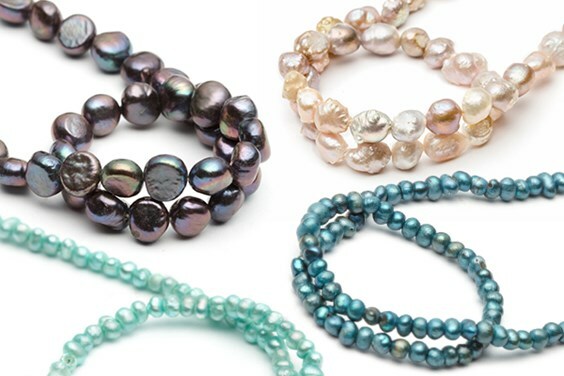 Our brand new pearl beads come in a variety of beautiful colours, from metallic reds, subtle pinks to pastel greens. They come in a range of shapes including potato pearls, semi-baroque pearls and round beads. Head to our Make The Look section, filled with jewellery making projects for beginners, including lots of beautiful pearl designs to try! They all include a handy one-click shopping list too. 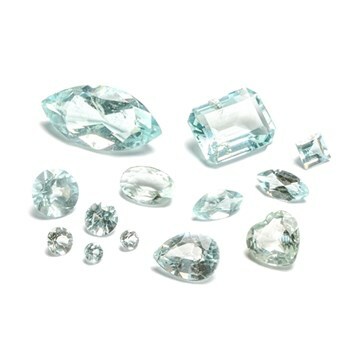 Aquamarine is connected to the moon and ocean, known to be the treasure of mermaids! It is thought that wearing aquamarine will protect you on your travels across the water and provide good luck. 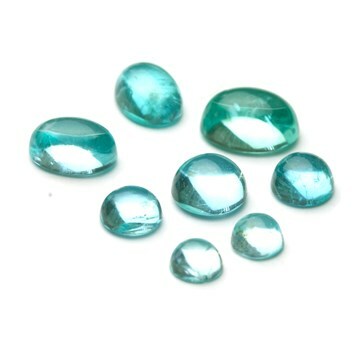 It is also believed that aquamarine is a calming gemstone and aids communication. Its pale blue colour means it's perfect for coastal-inspired jewellery designs. Another treasure of mermaids! Folklore suggests that sand dollar are the coins of lost mermaids, making these an interesting gemstone to use in your jewellery designs. 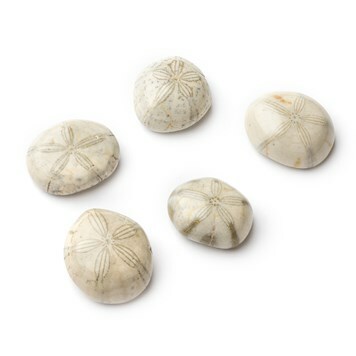 Sand dollars are sea urchins with short spines which have been fossilised. They have a smooth surface, with unique 5-star patterns. You could create a bezel setting as you would for a ring or pendant design. Paua shell is a species of abalone only found in New Zealand. We love the colours and patterns that paua shell has. Colours range from greens, blues, pinks and purples and are available as cabochons and beads. 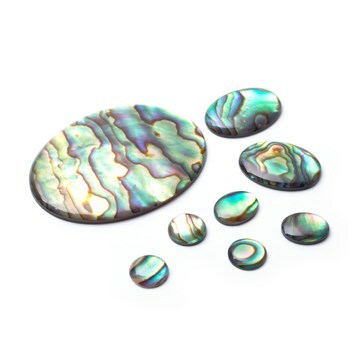 Paua shell is made from calcium carbonate and grows in the ocean, they offer a stunning iridescence that makes your designs stand out from the rest. Opal offers a rich play of colours, making them perfect for show-stopping jewellery designs. There are many types of opals that come in a range of colours. 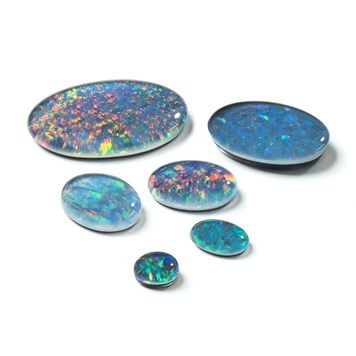 These opal triplet cabochons have such incredible flashes of reds, pinks, green, turquoise and yellow! They make us think of glittery oceans and would make beautiful earrings, ring or pendant. 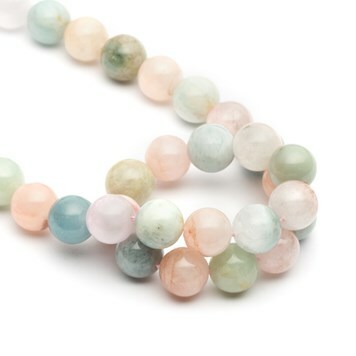 Our morganite round beads have beautiful pastel shades, perfect if you're after a more subtle look. From creams, pinks, blues to bronze these would look lovely with gold or silver findings. Drusy gemstones are a great gemstone to work with if you're after colourful, sparkly and bold designs! Many in our range have an amazing flash of colours and iridescence. 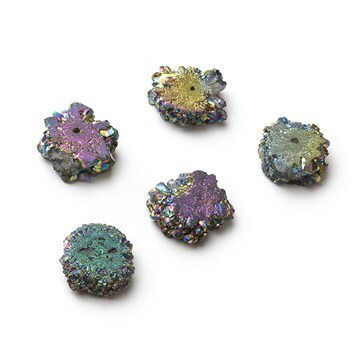 These peacock drusy slice beads flash between purples, green and blues. Apatite is thought to be connected with self-expression and creativity. It's also thought to help you attune to the future and connect us with past lives. It can range in colours, from blues, yellows and green. Our apatite cabochons would make a lovely focal ring - just like you're staring into the ocean! 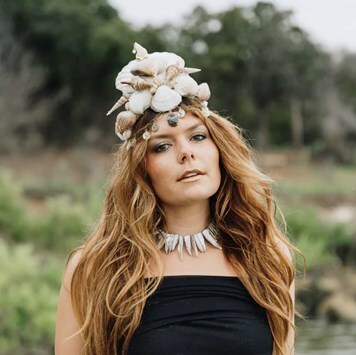 Moonstone is a calming gemstone, associated to the moon and the sea - just like mermaids! 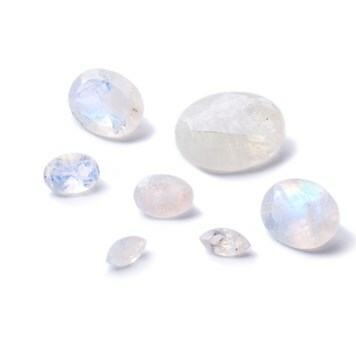 We have chosen the rainbow moonstone as it adds a little magic to the stone, so you can create mesmerising jewellery. Pyrite is a metallic gemstone with a brassy-yellow lustre that we can't get enough of. 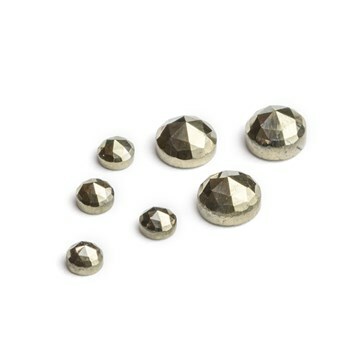 Pyrite is thought to be a protective stone, offering good luck and fortune. These rose cut cabochons are giving us those mermaid vibes and would look great in a ring. Mermaid Earrings In Under 1 Minute! 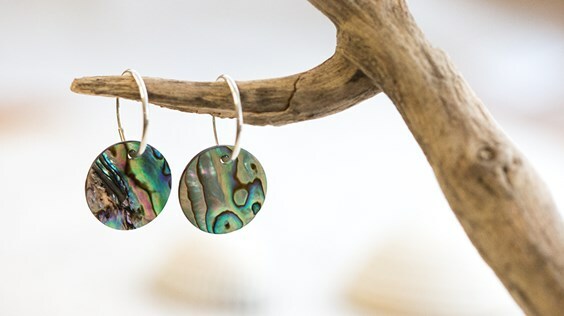 Combine our sterling silver hoops with one of our paua shell charms to create instant earrings. We love these simple charms, they have a stunning iridescent of turquoise, green, blue, purple and pink patterns that shimmer across these natural shells. You could also use them to add to bracelets and necklaces too. Dive into The Mermaid Collection, filled with magical mermaid inspired gemstones to use in your handmade jewellery designs!